Leash pulling can happen in puppies and adult dogs, and if it happens to you long enough can begin to feel like there’s nothing you can do except go along with it or cut back on the number of walks you take. Use the methods described in this article to start teaching your puppy good leash-walking habits from the start. We’ll also discuss ways you can re-train your adult dog to not pull on the leash if they’ve developed a problem, and we also discuss a few products that can help you to teach your dog good manners while out on a walk. You may be encouraging bad leash manners and not even know it. Do you do any of the things below? 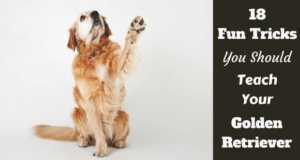 If you do, consider changing your ways before you try to change your pet’s ways. 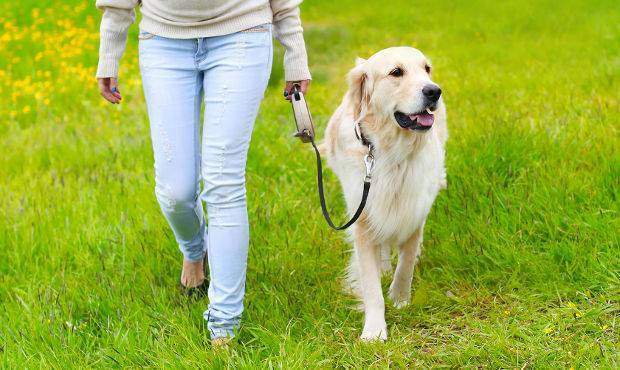 If you walk your dog on a retractable leash, you’re automatically reinforcing pulling. How so? It teaches your dog that the more they pull, the further the leash goes, so the instinct to pull becomes ingrained as a habit. If you do use a retractable leash, switch it out to a regular leash and donate your retractable one to your local animal shelter. There are very few cases when you’ll need to use it, and it’s better to get rid of the temptation for good. If your dog pulls on the leash, it’s important not to pull back. Dogs, especially larger breeds such as Golden Retrievers, tend to respond to pressure on the leash with even more pressure. So if you’re not careful, things could end up with you pulling at one end of the leash and your dog pulling at the other—and in this game of tug’o’war, there is never a winner. Instead, if your dog pulls on the leash, stop on the spot and wait until they come back to stand by your side. You can go ahead and call your pet by name or use a clicker, but don’t pull on the leash. Your dog isn’t a fish you need to reel in. Keep the leash slack and relaxed, and wait for your pooch to make the move (literally) back to you. It’s understandable that if your dog pulls on the leash, you’ll walk a bit faster to keep it from happening again. However, the message you’re actually sending is that it’s okay to pull on the leash, and that pulling gets your dog to where they want to go even faster. You can see how this creates a cycle of heavy pulling and really affects your leadership role. There is no single product available on the market that can magically transform your dog into a perfect walker on the leash. Actually, the trick – as you may already suspect – is just the same as it is with any other type of training: It takes patience, repetition and rewarding of good behavior to get good results. As mentioned previously, it’s important to not give into your dog when they pull on the leash. Consistency will pay off for you here. If you sometimes get tired and give in to your dog’s pulling, you’ve taken a whole lot of steps back in your training. Your dog needs to understand that pulling never gets them what they want. Ever. 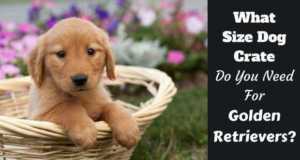 Instead, try the below methods before you head off to the pet store to plunk down hard cash on anti-pulling products. Every time you take your dog out for a walk on a leash is another great opportunity for you to teach them better manners. But as with all training, your dog (and you) may quickly become over tired, so be sure to keep these training sessions short, frequent and fun. Yes, you’ll need to invest a bit more time upfront but it’s worth it to have a well-behaved dog on a leash in the long run. Pulling on a leash generally happens because your dog is so excited, and it’s especially common in high-energy breeds such as Golden Retrievers. Try tiring out your dog before you go on a walk and see if it makes a difference. In most cases, it will! Play fetch in your backyard and make them chase their toy over and over. Use caution if it’s hot outside, provide fresh water and change your mind on a walk if your dog seems too exhausted or disinterested in the end. If you don’t have a yard that’s suitable, you can also have your dog run from one end of the home to another. Recruit another family member to help you with tag-teaming, and take turns calling your dog’s name. If you have a treadmill, it’s worth exploring the idea of exercising your dog on it before a walk. However, be very careful with the speed of the treadmill and don’t force your dog to go on it if they seem fearful or nervous. 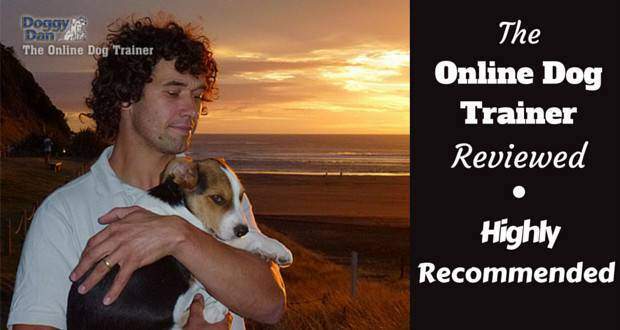 Positive reinforcement is the ultimate tool in having your dog perform behaviors you want. 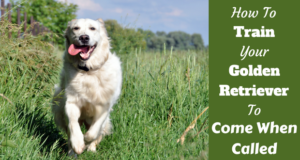 Timing praise and rewards right after they do something you like is the absolute best way to communicate what you want and encouragement for your dog to perform the behavior again. Therefore, carry a bag of special treats on your walks that you won’t give out on any other occasion so your dog has a very good reason to do what you ask. Treat them for walking nicely beside you – we have more advice on this in a section below. Good manners on a leash starts in the home. If your dog jumps, barks, whines or otherwise shows too much energy when you’re ready to go out for a walk, don’t clip the leash on, ask for a sit and do not do anything until you see a calm, relaxed dog. To train your dog to not get excited before a walk, simply ask for a sit, reach out to clip the leash to the collar…but do not do it until your dog is calmly sitting. If they go ballistic with excitement, stand upright, holding your arms crossed and the leash out of their reach and wait until they calm down. Then try again. If they pick up with exuberant energy again before you finish clipping on the leash on, take the leash away and start over. Only clip the leash on when your dog is completely chill. It may take a while, but over time and if you do this every time, they will learn what’s expected and it will truly be worth the effort! You’ll find plenty of collars and harnesses designed to keep your dog from pulling. The collars we do not agree with, but there are harnesses designed to actively discourage pulling that aren’t cruel in any way and are highly effective. 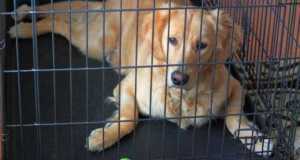 Similar in looks to a muzzle, a head halter is an okay choice for strong breeds such as a Golden Retriever. When a dog wearing a head halter pulls on the leash, the halter forces their head to the side. Only if there’s no tension on the leash whatsoever can the dog walk (and see) straight. If you do want to use a head halter, be aware that while puppies do well when started on it early, adult dogs sometimes fight when fitted with a head halter and you should take some measured time to get them used to it over days before heading out on a walk. A head halter only discourages pulling while a dog is wearing the item, it’s a short term solution and does little to actually train good leash manners. Therefore it’s always worth trying the training methods described later in this article, aiming for a long term solution that is better all round, while using a head halter (or harness) to manage the situation while training is underway. Some harnesses work in the same way as head halters, by turning the dog to the side if they pull. These types of harness have a ring on the front of the chest, not on the back, so the dog is turned unless the leash is loose. If you do buy a harness with a ring on the back, know that it won’t be of much help—and may in fact cause your dog to pull harder. They get a good feeling when leaning into the pressure, and there’s a good reason sled dogs have their ropes attached to the back – it feels good to a dog and they can get maximum pulling power. Not good if it’s something you’re trying to prevent. There are some collars that pinch or tighten around your dog’s neck when the leash is pulled from either end. These collars are extremely dangerous when used incorrectly as they can damage a dog’s windpipe, neck or spine, and in some (not rare enough!) cases, even choke the dog to death. With today’s modern training methods, there is no reason to ever use choke chains or similar products. Instead, use compassion, understanding and patience to teach your dog how to properly walk on a leash. So we will leave the discussion of these collars right there. Let’s take a look at 3 of the most commonly used methods for training your dog to stop pulling on the leash. The best course of action is to take on board a little of everything written above that can help in the short-term, and to actively use a mix of the following three methods during purposeful, scheduled training sessions to help in the long-term. This is an effective method that’s (mostly) easy to perform and makes a lot of logical sense. The essence of the technique is that once your dog reaches the end of the leash and is pulling, you simply stop the walk. Halt completely, dead in your tracks. You only then continue once they’ve come back toward you and the leash is loose. You then rinse and repeat, only ever walking when the leash is loose, never letting your dog walk ahead pulling and you stop if they do. The theory is that by repeating this technique again and again…and again and again…repeatedly over and over, your dog soon learns that if they pull on the leash, they go nowhere. If the leash is slack, they get to continue on the walk. This method works on the principle that a dog only gets the reward that they want – moving toward where they want to be – if they do what YOU want – Walking on a loose leash. This isn’t a technique for smaller, elderly or less able people as it involves repeatedly allowing a dog to pull and you stopping. So unless you can truly handle the dog, you may get pulled over. But for everyone else it’s a great method. Depending on how much of a puller you have on your hands – or leash – this technique may take time. But it does work, so be patient, practice a few times each day, and stick with it until you see results. TOP TIP: If your dog doesn’t come back to you, therefore loosening the leash when you stop, take a bag of training treats along on the training session. When they pull, practice the above, and call them back and ask for a sit before treating them and setting off again. Just be sure to treat randomly, not every single time! This technique boils down to ‘surprising’ your dog by quickly about-turning and walking in the opposite direction any time your dog reaches the end of the leash and starts pulling. As you walk, if your dog starts to rush ahead, say ‘wait’ or ‘slow’ in hope of reminding them not to get to the end of the leash. But if they do, with no warning, simply stop, turn 180 degrees and walk the other way. You may need a strong arm! As they turn to walk with you, give praise and maybe even a treat as they get beside you – but not in front of you – and then turn once more to go back in the original direction. Repeat this as many times as necessary, until they get the idea and do not pull. You may look a little silly if you practice in a busy park, so find a quiet spot if I were you. It teaches your dog that walking ahead and reaching the end of the leash has the opposite effect to what they want to achieve: Moving forward. In fact they end up walking away from where they want to go. It has the effect that it keeps your dog guessing so they have to concentrate on you. They never know which way you’re about to walk and take them, so they learn to follow your lead. Exactly what we’re aiming for. 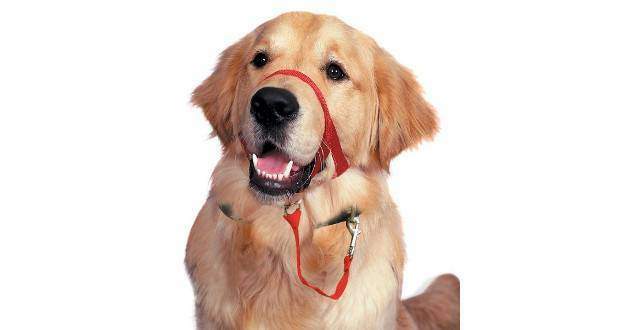 Now, we don’t want to use this method too liberally because there’s a danger of it becoming a bribe, but luring your Golden to do the right thing with treats is an effective way to teach them good leash manners. You can build this into your loose leash training program, but it’s also a good idea to take a pocket or pouch full of treats with you on every walk, keeping some closed tight in your hand so you are always ready for this technique. When you start to walk your dog, make sure they know you have some treats in your hand by holding them in front of their nose, but in a closed fist so they cannot get them. Set off walking and they will follow close beside you, their nose to your hand with the treat within it. You are luring them to walk nicely beside you. For every few correct steps beside you on a loose leash, tell them how they good they are and pop a little treat in their mouth. If they race ahead and get to the end of the leash, use the ‘stop and go’, or the ‘surprise about turn’ described above to halt them in their tracks. Best though is to stop, call them back, ask for a sit and then lure them to walk beside you again with a treat in your hand. After some days of this training a few times per day, do not have the treats in your hand but have some on your person so you can still treat them liberally, but they are choosing to walk beside you, not merely following the treat in your hand. Once they have got the skill down, extend the amount of steps they must take before they get a treat, with the ultimate aim of slowly over days – or likely weeks – having them walk large distances beside you with a treat only every few minutes. 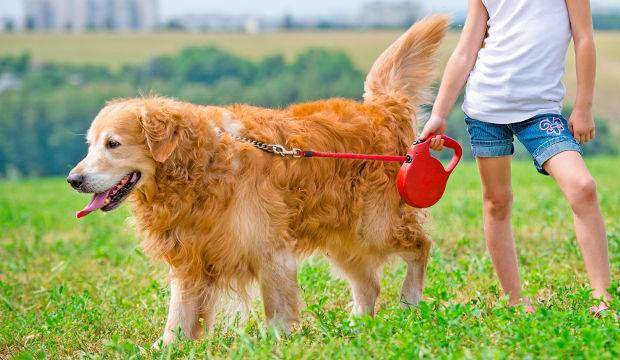 Pulling on the leash is a very common problem that many dog owners are faced with, particularly those with strong, high energy breeds such as Goldens. But pulling isn’t something that you have to – or should – put with up forever. Armed with the advice in this article, patience, dedication and compassion, you can leash train your dog to walk beside with impeccable manners. And there’s no time to start like the present! Have any questions or comments about this article? Join the discussion, and share your experience and knowledge in the comments below. 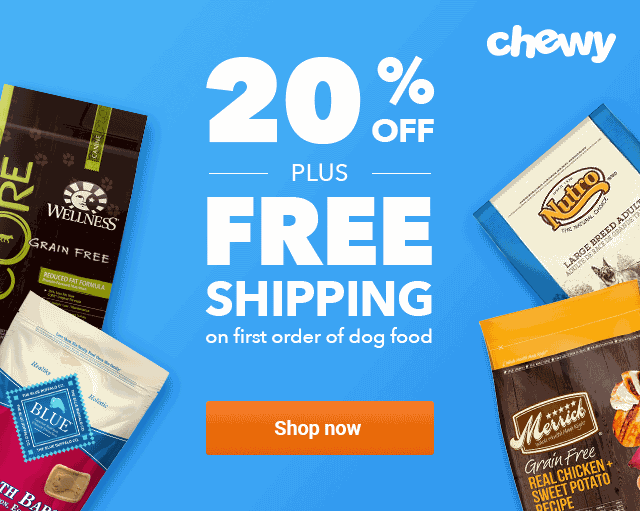 Previous: Complete Nutro Dog Food Reviews [ & Brand Overview]: Is It Worth A Try? My golden is 1 1/2, he chews every bedding and stuffed animal up that we give him. He now only get hard safe bones but i’d like to break him of his bad habits. Any suggestions? Happy new year, my name is Sergio and my wife and I have made the crazy decision to get a puppy for our family. We have four kids a 7 year old girl, two twin girls that are 4 and a toddler boy that is one. We have an 8 week golden retriever female puppy and so far I have. Web using your site for tips. I am concerned about my children’s safety should I be? They are playing with the puppy daily I am just worried that as the puppy gets stronger and older that she can get to tough. Hi Sergio, the advice is to always, always supervise young children and dogs, never leaving them alone. You can never be 100% sure what a dog may do to a child, you can never be 100% sure what a young child may do to a dog either! So you supervise to protect them both. 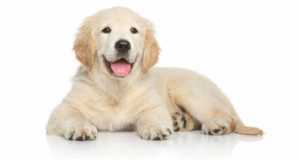 Golden retrievers are notorious for their cool, calm temperament and being fantastic family dogs. But I don’t care what breed we’re talking about, for any and every single breed in the world, always supervise young children and dogs. I look after my son’s Golden twice a week but she pulls. I read your advice about stopping, or turning and IT WORKED. I am so pleased. She comes back to me in two days and I will carry on consistently and hope she will walk on a loose leash again but if not, I will go back to training. I felt much happier and enjoyed the walk much better. Thank you so much. Just rescued a 3yr old golden and she’s pretty good on walks although today we encountered a couple of rabbits and she went berserk!! Almost pulled me off my feet. Advice please…. You will have to adjust the leash or change the type of leash you use. Leash training involves more than just allowing her room to walk. You have to be in control at all times a you will encounter people who are not animal lovers and other animals.